Prior to serving in Jersey City the Rav server in Plunge and Bauska both are in Latvia. 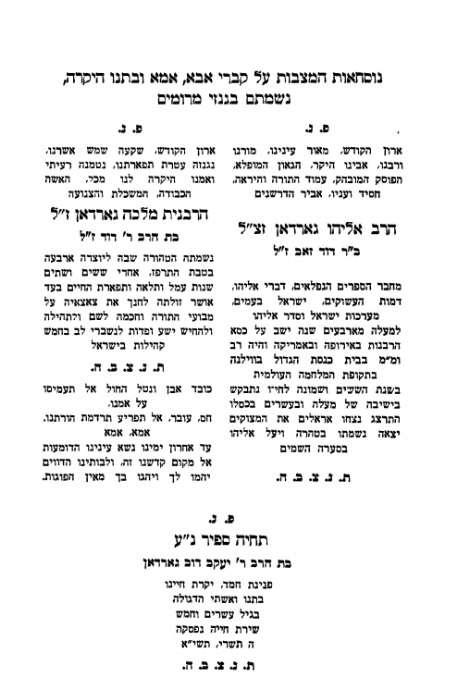 The Rav who authored many seforim (books) served in the city of Vilna (Vilnius, Lithuania) prior to his arrival on these shores. 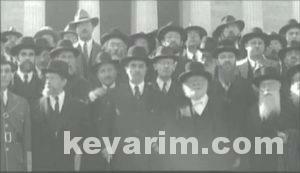 President, B. Manischewitz Baking Co.
On October 6, 1943, a delegation of some 400 rabbis, most of them Orthodox, poured into Washington, D.C., to make a public appeal to the United States government to do more to rescue European Jews from the Germans. Rabbi Jacob Meskin was born in Vilkomir, Lithuania, on Shmini Atzeret, 5644 (October 1884). He began his studies in his hometown at the age of five. When he was 13 years old, his family moved to Ponevezh (a district capital in central Lithuania), where he enrolled in the local Yeshiva. 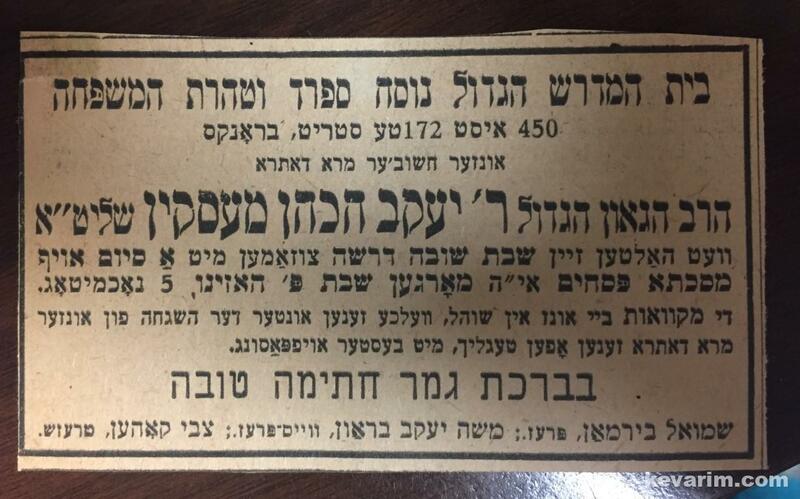 A year later he transferred to “Yeshivath Kneseth Israel” in Slobodka-Kovno and studied under the tutelage of the prominent Rabbi Isaac Jacob Rabinovitz and Rabbi Moshe Mordechai Epstein, Dean of the Slobodka Yeshiva. 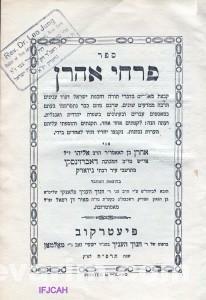 When Rabbi Isaac Rabinovitz was appointed head of the Ponevezh Bet Din (Rabbinic Court), his devoted student, Jacob Meskin, decided to follow him in order to benefit from his unique Talmudic analytical methodology. 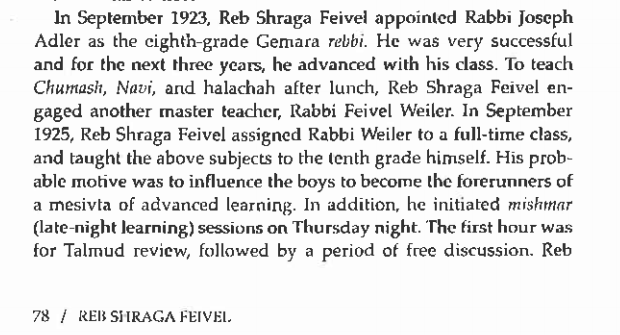 The mutual relationship, both scholarly and personal, between the mentor and his student developed into a strong bond which motivated the latter to excel in his studies and to cultivate his own creative abilities in Talmudic exegesis. After his marriage to Rivkah Mervis in Elul, 5665 (September, 1905), he moved to his wife’s hometown, Shadove (in North-Central Lituania), where the young couple lived in close proximity to his parents-in-law (Yisrael Eliyahu and Pera Mervis). 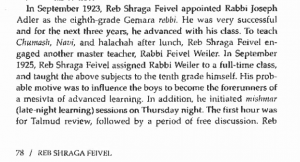 During this period his talents in Talmudic exposition were recognized by the renowned Rabbi Joseph Leib Bloch, the spiritual leader of that community, who invited him to teach in the local Yeshiva. A year later, the couple moved back to Ponevezh. 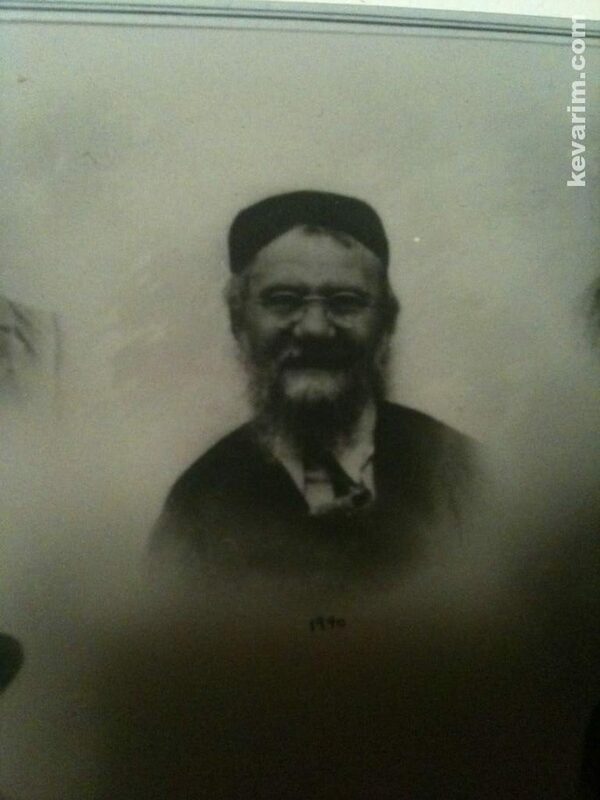 There, Jacob Meskin began serving as an assistant to his illustrious mentor Rabbi Isaac Jacob Rabinovitz (reverently known as Reb Itzeleh Ponovezher). At times, when Reb Yitzeleh was called out of town, he delegated the full responsibility for the Jewish affairs of Ponevezh to his young associate. In 1908, Jacob Meskin earned his Smicha (Rabbinic Ordination) from Rabbi Meir Atlas of Shavl (Shavli), Rabbi Joseph Leib Bloch of Shadove (Shadov), and his mentor, Rabbi Isaac Rabinovitz of Ponevezh. All three commended the new Rabbi on his brilliant abilities to explicate the most complex Talmudic texts, and to adjudicate the full spectrum of Halachic complexities. 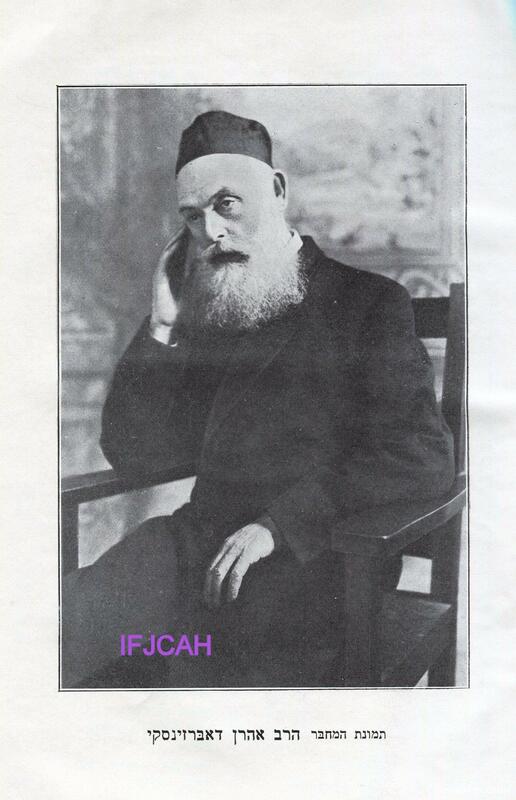 Three years later (1911) Rabbi Meskin was installed as the Rabbi of Nova-Praga, Herson, Russia, where he served with distinction for eleven years. Due to the dangerous rise of pogroms, Rabbi Meskin was compelled to return to Ponevezh. 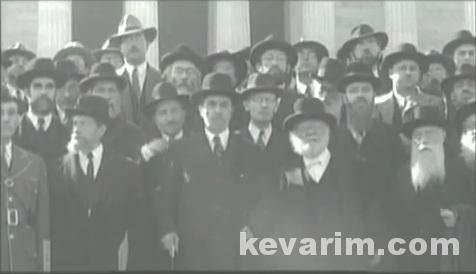 There he developed a close relationship with Rabbi Joseph Shlomo Kahanaman, the distinguished Rabbi of the community. 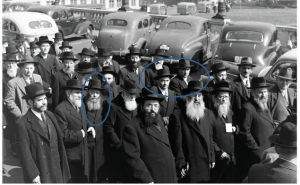 Once again, whenever Rabbi Kahanaman left town to serve on the Lithuanian Parliament, or to travel on fund-raising excursions to other communities, Rabbi Meskin was delegated the full responsibilities for the Jewish affairs of Ponivezh. 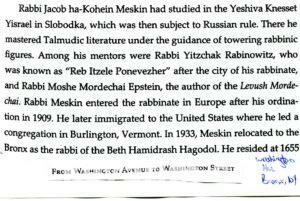 In 1924 Rabbi Meskin moved to the United States. 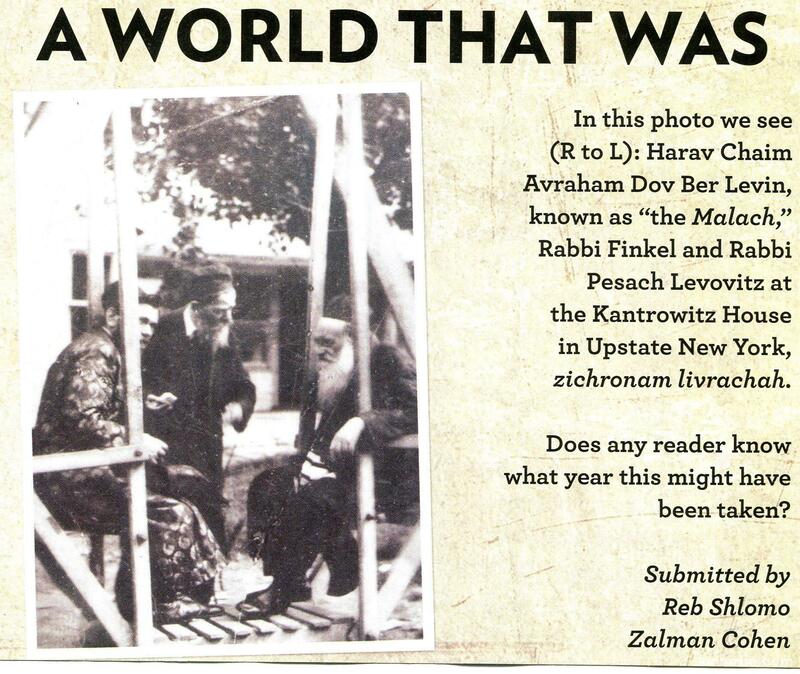 His first pulpit was in Chaye Adam Synagogue, Burlington, Vermont. 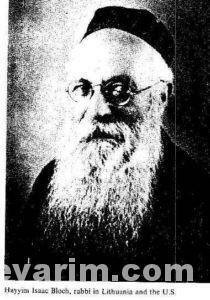 Beyon his pulpit duties, Rabbi Meskin oversaw the Jewish activities of his congregation as well as those of the surrounding communities. 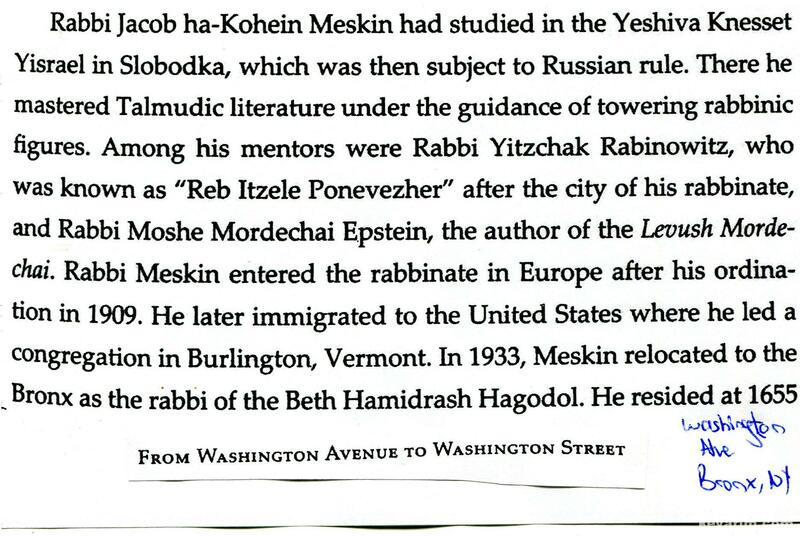 Simultaneously, Rabbi Meskin authored definitive Responsa to leading Rabbis, both in America and overseas and published novella and treatises on the Talmud, Maimonides, as well as on general and practical rabbinics. 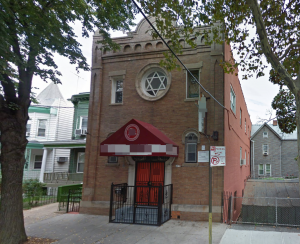 Seven years later (1931), Rabbi Meskin moved to New York where he assumed the leadership of Beth Hamidrash Hagadol Nusach Sfarad Ve’Taharath HaMishpacha in the Bronx. His erudition was immediately recognized by his new Rabbinic colleagues who consulted him on major issues affecting both individuals and the community. 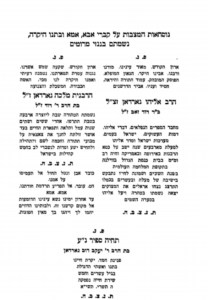 After a glorious 24-year tenure in the Bronx, during which his reputation was acknowledged as a leading authority in all four sections of the Code of Jewish Law, Rabbi Jacob Meskin passed away on Friday night, 13 Adar, 5716 (February 24, 1956). 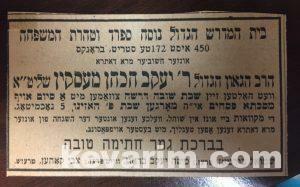 His funeral, on Purim Day, was attended by hundreds of admirers who mourned his passing. 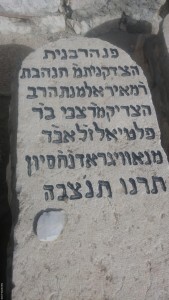 During his lifetime, Rabbi Meskin authored eight comprehensive volumes: “Beth Yakov”, “Sulam Yakov”, “Even Yakov – Megila”, “Even Yakov – Chagiga”, “Even Yakov – Rosh HaShana”, “Makel Yakov – Makoth”, “Mishpat L’Yakov”, and “Hadrath Mordechai”. Including a responsa relating to the survivors of the ill-fated Titanic. 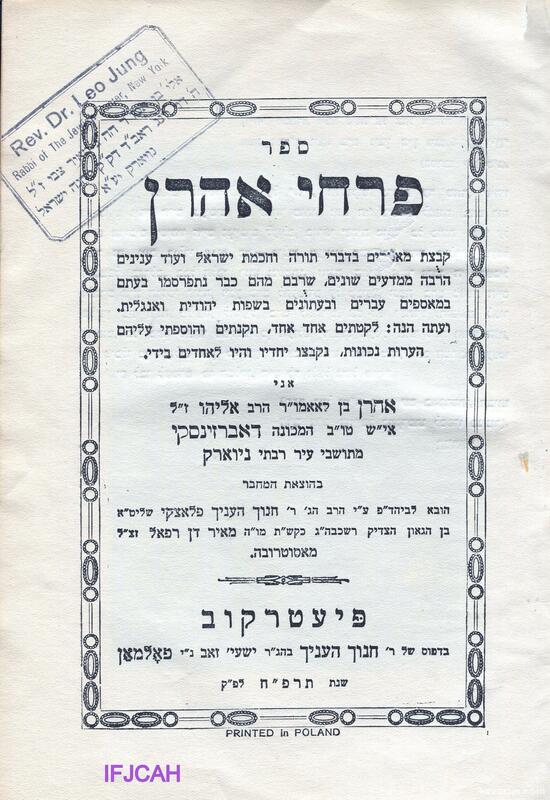 Rabbi Meskin’s books were lauded by the most prominent Rabbis of his era, among them were Rabbi Yechiel Yaakov Weinberg, Rabbi Tzvi Pesach Frank, Rabbi Pinhas Hirshprung, and Rabbi Moshe Feinstein who penned their approbation’s and endorsements. 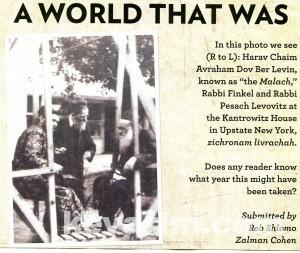 Rabbi Jacob Meskin was survived by his wife, Rebbetzin Rivkah, and his children: Rabbi Chaim Joshua, Rabbi Eliezer, Reuven, Ida and Frieda.